Network Attached Storage (NAS) has become very common in homes and work environments. NAS drives are similar to USB hard disks but the main difference is that they are connected to a network switch or router via a network cable and they are accessed across the network via a mapped disk. NAS drives use a mini Linux OS which handles the flow of data to and from the hard disk using TCP/IP communication protocol. 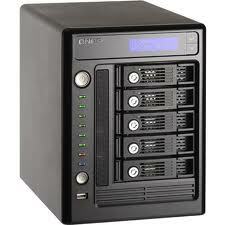 NAS drives come in different configurations such as NAS RAID using several hard disks or just a single hard drive. The greatest benefit of NAS drives is their availability across the network in sizes bigger than 2TB and their independence from any Operating System whether old or new. The OS does not address the these types of disks as native and treats them as a network storage device. Data Recovery Lab specialises in NAS data recovery. We have recovered data from many NAS faulty hard drives using our vast experience and hi-tech data recovery lab.